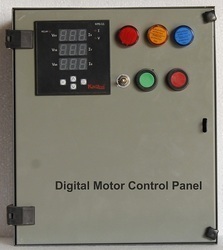 The Digital Motor Control Panel, which we supply, is acclaimed for its sturdy make. Our organization is graded among receptive and responsible Suppliers of Digital Motor Control Panel, involved in providing to purchasers across diverse marketplaces. We are strategically based in Mumbai(India) and are in proximity with the resources required for easy production process.